Netflix has announced that it is once gain changing its pricing plans. The company is splitting its offerings into DVD and streaming. First, Netflix is launching new DVD-only plans: only $8 a month for one DVD out at-a-time and $12 a month for two DVDs out at-a-time. Second, the company is separating unlimited DVDs by mail and unlimited streaming into separate plans. Members must now choose between a DVD-only plan, a streaming-only plan, or subscribe to both. Netflix will no longer offer a plan that includes both unlimited streaming and DVDs by mail. The company's current $10 a month membership for unlimited streaming and unlimited DVDs has been split into two distinct plans: Unlimited Streaming (no DVDs) for $8 a month and Unlimited DVDs (one out at-a-time, no streaming), for $8 a month. As a result, if you want both you'll have to pay a 60 percent premium: as both of these plans will cost you $16 a month. For new members, these changes are effective immediately; for existing members, the new pricing will start for charges on or after September 1, 2011. To change or cancel your unlimited streaming plan, unlimited DVD plan, or both, existing members can go to Your Account on Netflix. 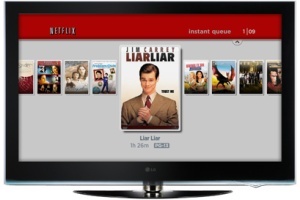 Back in November 2010, Netflix announced its $8 streaming-only plan and offered DVDs by mail as a $2 add on. The company soon realized that there is still a very large continuing demand for DVDs both from existing members as well as non-members. As a result, Netflix has decided that treating DVDs as a $2 add on to its unlimited streaming plan doesn't makes great financial sense (read: the company is losing money) and it also doesn't satisfy people who just want DVDs. Creating an unlimited DVDs by mail plan (no streaming) satisfies the latter by lowering the price for them. Unfortunately, those that want both DVDs and streaming get screwed over in the process.